In October, 129 appointments were wasted as patients Did Not Attend (DNA) and did not cancel. In November it was 117. As some of these were doubles this is over 45 hours of clinical time! Audit shows the further ahead the booking is made, the more likely it is that the patient will not attend. Text reminders help a little, however many patients do not have mobiles or do not switch them on. We would like to improve access to appointments by reducing this unacceptable level of waste. Therefore we will now be making more appointments available at shorter notice on a rolling release basis but will not be booking further than 3-4 weeks ahead. We apologise for any inconvenience during the transition period. Our doctors prefer to see their own patients to give good continuity of care but you may consult any of them. Appointments can be made by calling in at the Medical Centre, by telephoning 01628 810242 or booking online. A routine appointment is 10 minutes. If you think your problem is going to take longer, please ask for a 20 minute appointment. Please make it clear whether an appointment is required for more than one member of your family. This will assist in preparing patient records for the consultations and allocating the appropriate amount of time. For patients requiring urgent same day assistance we operate a Duty Doctor telephone triage system. This enables the Doctors to manage and prioritise patients themselves according to clinical need and urgency. Patients are placed on the triage list and the Doctor will ring the patient back during their Duty session. We have a Duty Doctor every morning and every afternoon. In many cases the matter can be resolved during the call with advice but if a face to face consultation is needed – the doctor will arrange a time directly with the patient. This may be to come down and see the Duty Doctor or to see one of the other doctors at a suitable time. The advantage of this system is that the Doctor can provide advice and assistance to far more people than could be seen in a normal clinic session. You can cancel by phone, by texting back cancel to a text reminder or cancel online even if you did not book the appointment that way. We do our best to run to time. If you want to discuss several problems with your doctor, please book a double appointment so that you don't keep other patients waiting. If a doctor or nurse needs to examine you and you would like to be chaperoned, please mention this before the examination. Please consider whether your problem or condition could be handled effectively by one of the other healthcare professionals in the practice, for example the practice nurses. If you are not well enough to come to the Health Centre, telephone us on 01628 810242 so that we can advise you or arrange a home visit. Please telephone before 10.30 am if possible, to help the doctors plan their rounds. Please do come to the surgery whenever possible, we do try to reserve home visits for patients who are either genuinely too ill to come to the surgery or housebound. You can be visited at home by a community nurse if you are referred by your GP or when being discharged from hospital. You should also be visited at home by a health visitor if you have recently had a baby. The health visitors will contact new parents directly. 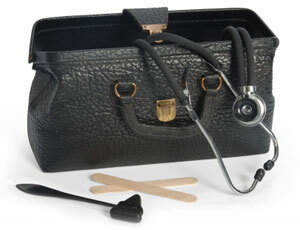 In order to be referred to another healthcare professional you will usually need to see a GP first. This allows a review of your medical condition in the context of your medical history and discussion of treatment and referral options. There are exceptions, for example a patient may self refer to a private physiotherapist or chiropractic. NHS referrals generally take a week to dictate, type and process through the appropriate referral process. Many NHS hospital referrals are now done as Choose and Book/e-referrals. This system enables you to choose from a small selection of local hospitals and make the booking yourself. You will be contacted by one of the receptionists approximately a week after seeing the GP to inform you that your booking paperwork, which contains a password, is ready to collect from reception. Some treatment courses need approval by the CCG for funding before they can go ahead. For more information on Individual Funding Requests visit www.fundingrequests.cscsu.nhs.uk, or speak to your GP. You may also like like to read the leaflet on Will the NHS fund my treatment leaflet. In some instances you may wish to be referred to a private consultant or specialist after seeing the GP. You may need to seek approval from your insurance company first as they may have restrictions on which services you can access. The GPs may be able to recommend a suitable Consultant and/or service and give you the contact details. When you have made your appointment - please let the secretaries know the date of your appointment and the person you are going to see, so that a referral letter can be done which will be left at reception for you to collect. Please give us as much notice as possible and a minimum of 3 working days to produce the letter. Please note if you wish someone to collect the letter on your behalf, we must be informed as we require your consent to release such letters. Thank you. After an emergency admission it is often helpful to see a GP afterwards to review the condition, address any queries, review medications. This is not always necessary if the condition has been dealt with or has resolved. You are usually given a discharge letter before you leave the hospital. The hospital will send a copy of this to the surgery informing the GP of any follow up actions or medication changes etc. that may be needed. Please contact us if you should encounter any problems immediately after your discharge. Letters are also sent to the GP following planned hospital admissions, attendance at clinics or from other service providers. These may arrive electronically or by post and are either for information only, to ensure completeness of your medical records, or may relate to any follow up actions required. You do not require a doctor's sickness certificate for any illness lasting seven days or less. Your employer may however require you to complete a self-certification form (SC2) which is available here.